On Saturday, George Entwistle’s resignation as the BBC’s director-general looked like the act of a decent and principled man. It doesn’t look such a principled act now we know that Entwistle will be paid £450,000 for resigning. (A year’s salary.) A classic case of being rewarded for failure. True, it’s a lot more modest than Rebekah Brooks’ £7m payoff from News International after the phone hacking scandal. But the licence fee payers are paying for it. It’s more than he was entitled to (six months.) And it’s another gift for the BBC’s enemies at News International and the Daily Mail, who will use it as ammunition in their campaign against the compulsory BBC licence fee. Millions of licence fee payers face tough times. They will be outraged at the way they’re being punished for George Entwistle’s incompetence. Mr Decent has turned into Mr Shameless. 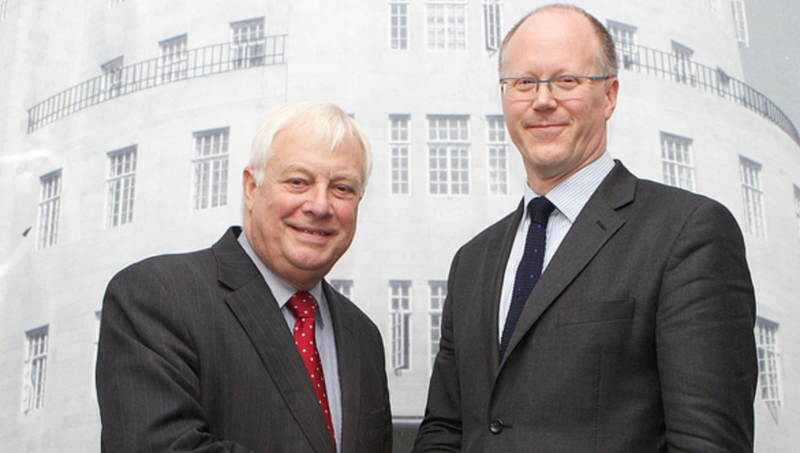 It suggests that Chris Patten and George Entwistle either didn’t consider how bad this would look, or didn’t care. This entry was posted in Media, Television and tagged BBC, George Entwistle by Rob Skinner. Bookmark the permalink. I now feel Patten has to go too,given the ridiculous payoff! 450 is a funny old, recurring number. As I recall the final cost for the new BBC building in the West End was £450m over the original budget. Still, the architect did have the foresight to put the appropriate main doors on the access lobby. The BBC say that the amount was what he would have been entitles to had he been sacked. As an employer, I don’t understand how someone can get a year’s salary if they are sacked. Not made redundant. Sacked.